Before leaving office in 2016, President Barack Obama established Bears Ears National Monument in Utah to protect the land’s cultural, scientific, and environmental significance and to preserve the unmatched natural beauty of the wild space. The next year, the current administration slashed the size of the protected area by 85%—more than one million acres. That reduction divided Bears Ears National Monument into two disconnected parks and opened up vast swaths of formerly protected land to oil, gas, and mining operations. Check out THIS ARTICLE from the Sierra Club to learn more. REVERB artist partner and member of Guster, Luke Reynolds, traveled to Bears Ears to record the sounds of the desert landscape before they are changed forever. Those recordings became the basis for his new album, Vanishing Places Vol. 1 Bears Ears. The album comes out May 3, but REVERB is debuting the second single from Vanishing Places, “Totality,” today. Check out what Luke had to say about the project below and give the new single a listen! Bears Ears National Monument in Utah was established by President Barack Obama in 2016. It’s original size was 1.35 million acres. In December 2017, it was announced that the Trump Administration would reduce the National Monument by 85% in size — over 1 million acres, opening new mineral and oil and gas leasing opportunities, easing drilling regulations, and rolling back habitat protections for endangered species. 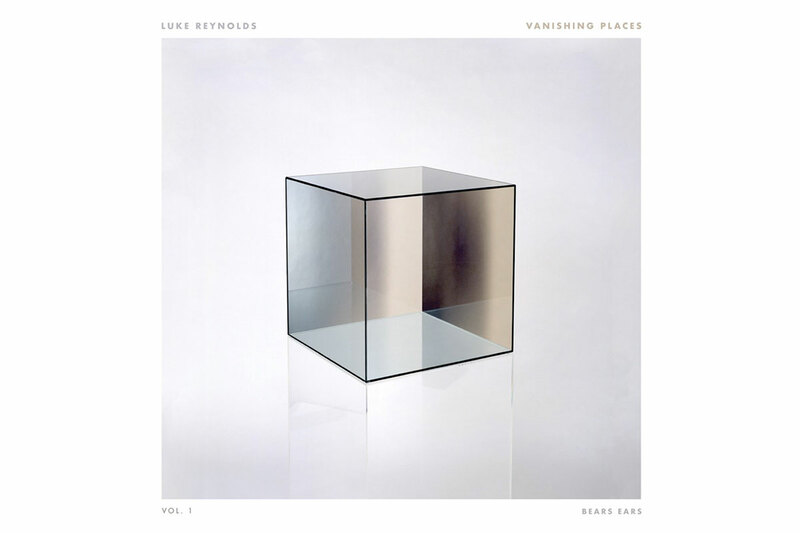 This album, Vanishing Places, was written and recorded based on a series of field recordings I made there last spring. The idea behind the project was to travel into wild places currently at risk, record the soundscape, then turn those field recordings into fully realized compositions back in the studio. I wanted to record the soundscape in Bears Ears National Monument before it was changed, so after a few months of planning I packed up my field recorders and flew out to the desert. I first captured the soundscape, then synthesized those field recordings in different ways back in the studio. Those recordings became the foundation for this record, even if they’re now unrecognizable. Luke Reynolds (born April 20, 1979) is an American musician, guitarist and multi-instrumentalist, songwriter, session musician, field recordist, producer and a member of the band Guster. As a session musician, he has worked on wide-ranging projects from Sharon Van Etten (Remind Me Tomorrow) and Neko Case (Hell-On), to Sarah Jarosz (3x Grammy Award winning album Undercurrent) and Miranda Lambert (ACM Album of the Year The Weight of These Wings). Reynolds has released four solo albums. His recently completed fifth solo album, Vanishing Places Vol. 1 Bears Ears, is out May 3. Written and recorded based on a series of field recordings he made in Bears Ears National Monument. The idea behind the project was to travel into wild places currently at risk, record the soundscape, then synthesize those field recordings in different ways back in the studio. With James Gadson on drums and Lars Horntveth on horns and keyboards. Most recently, Guster released their forthcoming album Look Alive, recorded with producers Leo Abrahams and John Congleton. This is the band’s second album with Reynolds as a full member and co-writer, following their Richard Swift produced LP, Evermotion. Originally from Vermont, he is currently based in Nashville, TN where he lives with his wife and daughter.